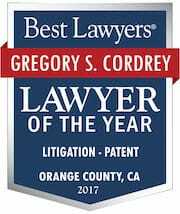 Greg is a Partner in the Orange County office of Jeffer Mangels Butler & Mitchell LLP, where he practices as part of the firm’s Patent Litigation Practice Group. 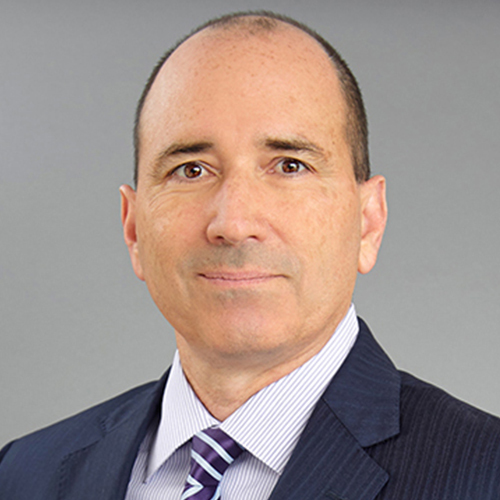 In his twenty-plus years as a lawyer, Greg has focused on litigating patent infringement matters and other disputes involving complex technology, as well as representing patent owners and challengers in invalidity proceedings before the Patent Trial and Appeal Board (PTAB). He has litigated patent cases throughout the United States, including numerous cases in the Northern and Central Districts of California, and the Eastern District of Texas. In addition, Greg has experience with appeals before the Court of Appeals for the Federal Circuit. Greg also has extensive experience with patent licensing, including successfully negotiating a wide range of license agreements, particularly with Fortune 500 companies, and advising clients regarding IP strategy. He represents clients in a wide variety of industries, including semiconductor and LCD manufacturing, medical devices, computer software, computer accessories, automotive (internal combustion engines), aircraft (avionics and interiors), and consumer products (packaging and paper products). When not practicing law, Greg enjoys reading (mostly fiction), skiing, traveling and attending various sporting events with his wife and daughter. Before attending law school, Greg worked as an aerospace engineer for six years. Greg consistently has been recognized as an authority in IP law. Data Scape LLC v. Western Digital, et al. (C.D. Cal. 2019) - Represent Western Digital against a non-practicing entity’s infringement allegations involving computer storage products. Vertical Tank, Inc. v. BakerCorp, et al. (E.D. Cal. 2018) - Represent BakerCorp against a competitor’s infringement allegations directed to vertical tanks used in oil and gas industries. Uniloc USA, Inc. v. Logitech Inc., et al. (N.D. Cal. 2018) - Represent Logitech against a non-practicing entity’s infringement allegations involving computer peripherals. Electronics for Imaging, Inc. v. RAH Color Technologies LLP (N.D. Cal. 2018) – Represent Electronics for Imaging against a non-practicing entity’s infringement allegations involving color calibration used in printers. TEK Global S.R.L., et al. v. Sealant Systems International, Inc., et al. (N.D. Cal. 2011- present) – Represent Sealant Systems against a competitor’s infringement allegations directed to a tire sealant repair device. Eidos Display, LLC, et al. v. AU Optronics Corporation, et al. (E.D. Tex. 2011-2017) – Represent Innolux Corporation against a non-practicing entity’s infringement allegations involving the manufacture of liquid crystal displays. Targus Group International, Inc. v. Logitech Inc., et al. (C.D. Cal. 2015) – Represent Logitech against a competitor’s infringement allegations directed to computer peripheral devices. Edwards LifeSciences Corporation, et al. v. Boston Scientific Scimed, Inc. (Case No. IPR2017-00060) - Represented Edwards Lifesciences in challenging the validity of a patent on a transcatheter heart valve, which resulted in the challenged claims being held unpatentable. Panasonic Corporation, et al. v. Papst Licensing GMBH & CO, KG (Case No. IPR2016-01223) – Represented Panasonic in challenging the validity of a patent directed to a computer interface device for transferring data, which resulted in the challenged claims being held unpatentable. Shimano Inc. v. Globeride, Inc. (Case No. IPR2015-00273) – Represented Shimano in challenging the validity of a patent directed to the use of magnetic seals in fishing reels, which resulted in the challenged claims being held unpatentable. You can read more about Greg's patent infringement matters here. PTAB Rejects Samsung's Bid to Join Its Own Previously Initiated IPR Proceeding As An Unjustified "Second Bite At The Apple"
The PTAB Allows Discovery "Of Persons Who Provided Direction To, Or Had The Authority To Provide Direction To, Petitioner Or Its Counsel In Relation To This Proceeding"
AIPLA Spring Seminar 2009: Expert Depositions: Sage Advice or Waged Device?